I was inspired by Les Brown when he says IT IS POSSIBLE. In the process of working on our dreams, we are going to incur a lot of disappointment, a lot of frustration, a lot of failure, a lot pain, a lot setback, a lot of defeat. But in the process of doing that we will discover some things about ourselves that we don’t know we have. We’ll realize we have greatness within us; that we are powerful that we can ever begin to imagine; we are greater than our circumstances; that we don’t have to go through life being a victim. So, let us not stop pushing ourselves. Let us not throw the towel as we have plenty of time to recover from suffering. Let us not allow others’ opinion of us. Let us believe in ourselves. Let us be in control of our own destiny by acting on our ideas. Life is so stretching and challenging. It is not always easy however good you see this life is today. 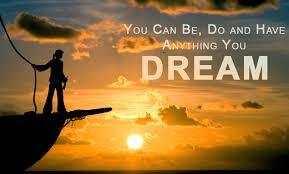 But when you stretch it out and act on your dream you will begin to live it in your own reality. We have learned to believe in God who created us and gave us everything we need. But sometimes we forget to believe in ourselves. So I challenge you to begin to remember who you are at all times. I challenge you to begin to make a commitment to yourself that you will believe in yourself, in your greatness, in your personal power. God helps those who help themselves. Take any chance and drop every fear and begin to act on your ideas. Don’t wait any longer, act on your dream now- because no matter how difficult and challenging or disappointing it may be as you go through all the process of achieving it, IT IS ALWAYS POSSIBLE. Posted on November 1, 2014, in Inspiration, Personal Development and tagged belief, faith, inspiration, les browm. Bookmark the permalink. Leave a comment.